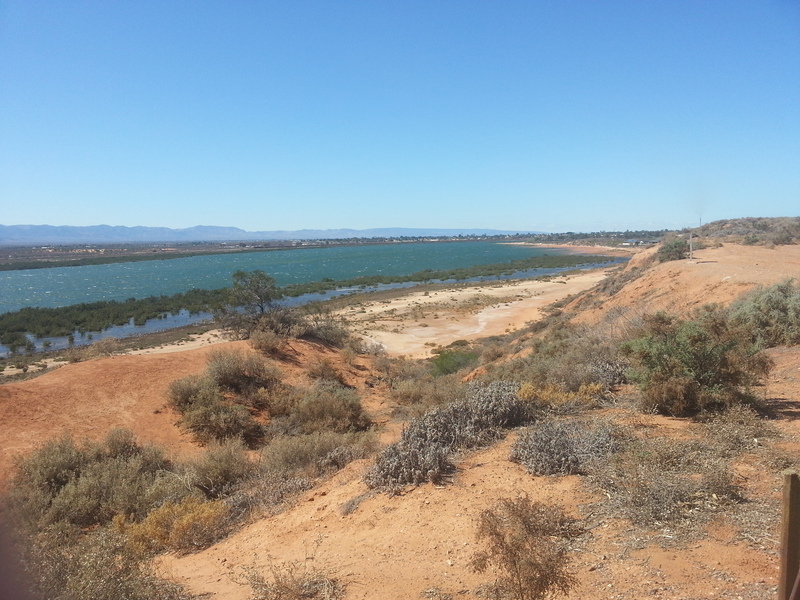 The upper area of the Spencer Gulf with the Flinders Ranges off to the left. I enjoyed my visit to the Arid Lands Botanic Gardens. It has a well stocked shop and a small, but interesting nursery with a good range of native plants – and the prices were very reasonable. And I became a member. It’s a 150 klm round trip but it does have a nice dining area – it is a good morning out and a nice, peaceful drive. I bought 4 small (1.5 metres) silver leafed Eremophila and have planted two out front and the remaining two in large planter pots. We will see how they go. I think I have mentioned before that the term “Full Sun” really does not consider the heat of this area. Two days of 40c and they are dead, irrespective of water and mulch. 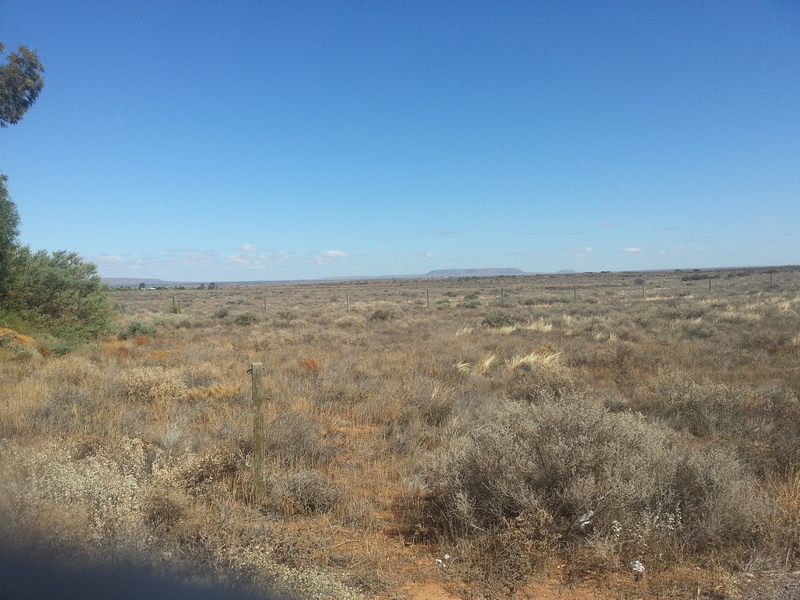 So I thought it is time to go to the Eremophila and see what we can do. Our inter-state visitors arrived yesterday afternoon and will be here for a few days before setting off further north, then into the Northern Territory and Alice Springs. At least it will be a lot cooler than a few weeks ago. Mid spring is the best time of the year to travel up into the Flinders Ranges – everything is still green and there is a massive abundance of wild flowers. Then summer comes and everything is burned off. My problem over the last week has not been the heat but the wind, which has hardly let up for weeks. I have never known for it to be so breezy. Provided it’s not a North Wind, it does have a cooling effect but the disadvantage is that around this place all you have to do is sneeze too hard and leaves come down by the bucket load. I left a fairly clean place and came back from Adelaide to find everything covered in leaves again. I mean I understood ; spring – leaves grow; summer – leaves develop and flourish; Autumn – leaves start to die and fall; winter- leaves come down. Is there something wrong with this logic? Oh and it’s not really in the “Middle of Nowhere” the photograph was taken from the pathway of the Botanic Gardens as was the one above but they do serve to illustrate the isolation of this area.